The quest for Denver’s best date night starts at I Made It Workshop. 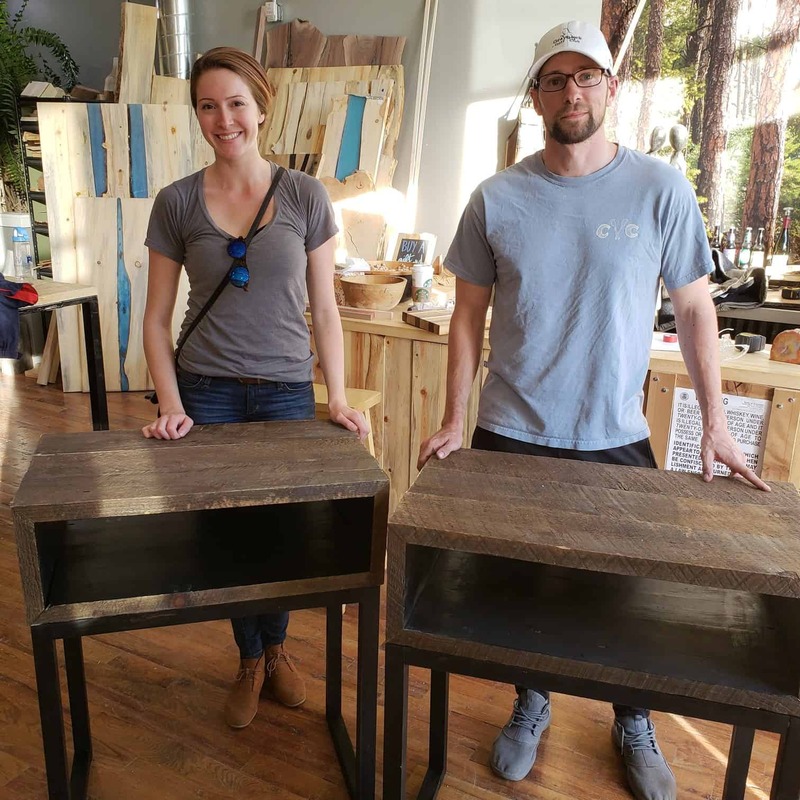 We have created the most unique opportunity for couples to explore woodworking together. Our instructors lead classes are the perfect chance to tackle a woodworking project together. Our woodworking classes offer an introductory look in to this great makerspace located in Downtown Denver. 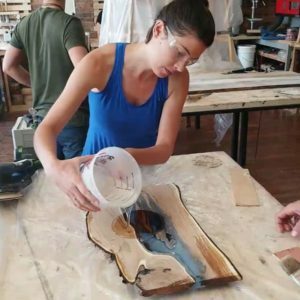 Some of our most popular classes for couples include Resin Cheese Board which helps you dive into the combination of using resin in woodworking and our Charcuterie Cutting Board class which teaches you how to create a handmade high quality cutting board. These classes are full hands on, with instructor oversight. 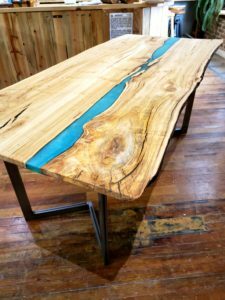 The opportunity to dive into a bigger more rewarding project like a Resin River Table is at your fingertips. Our instructors are the foremost experts in this popular process and will guide you and your partner through every step. That satisfaction from creating a piece of furniture from hand is a rewarding journey. I Made It Workshop offers gift cards for both custom projects and our instructor lead classes. These are the perfect gift any time of year when you are looking for the unique and different type of gift. You can pick one up online or in our Downtown woodworking studio.